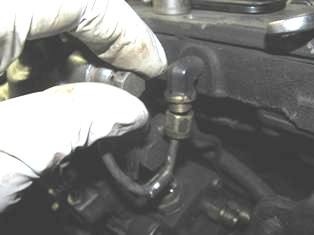 Follow these links to good articles or you tube videos on fuel pin adjustments/replacements, smoke screw adjustments etc. The 1989-1993 Cummins Bosch VE injector pump starts to drop off fuel as early as 2300 rpm and will pretty much stop at 2500 rpm- that's way too low for you guys with F-550's with 4.88 gears, and not exactly ideal for 3.73's either. For just $27.00 and a little technical surgery on the injector pump you can get up to 3200 rpm safely without changing valve springs. 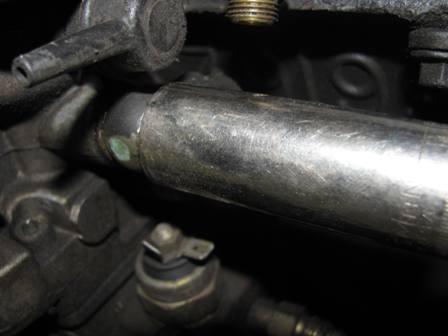 Begin by removing any intercooler plumbing so that the throttle linkage to the pump and the injector lines can be removed. Remove the afc boost signal tube from the afc and the head. Gently bend the line out of the way and put the special banjo bolt in a safe place. 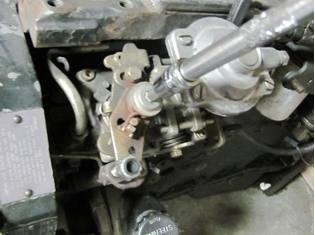 Make sure the banjo bolt you take out gets put back in the same place. Take the full load fuel screw completely out, counting the number of turns out. 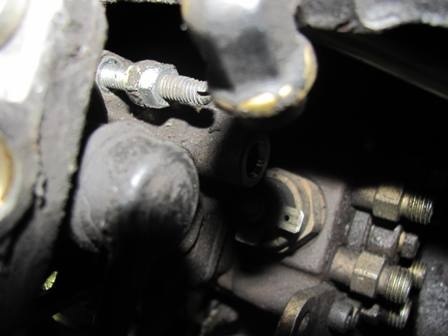 Next, the idle set screw must be removed to get access to the rear inner afc cover bolt. 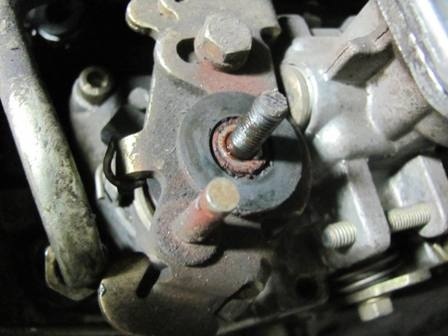 It is very common for the threads of these screws to be corroded, and hard to turn. As a result, breaking the screw driver slot is very easy to do. 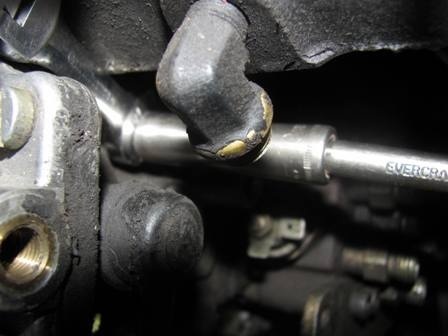 In order to avoid this, install another M6 x 1.0 nut and jam the nuts together lined up so the idle screw can be backed out with a 10mm deep socket. 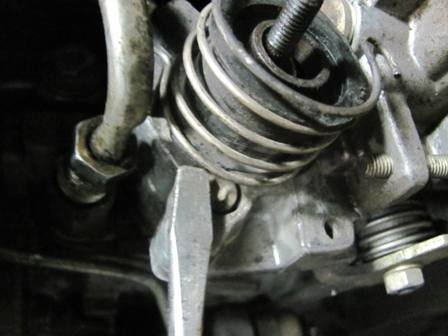 Spray some penetrating lubricant on the threads before you start to help prevent the screw from galling the aluminum threads in the pump housing. 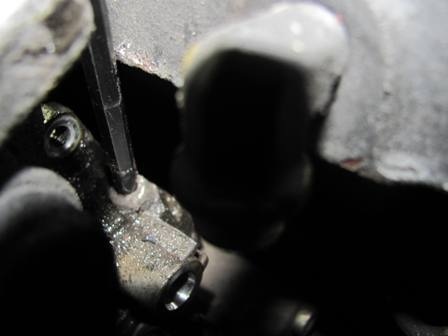 Measure the amount of screw to the rear of the nut so that you can return the screw to your stock idle set-point. 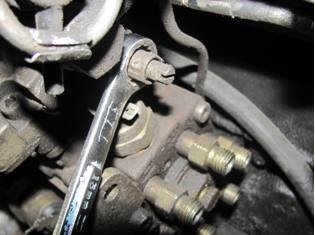 This picture shows how to jam the nuts together with a wrench on one nut and the socket on the other. 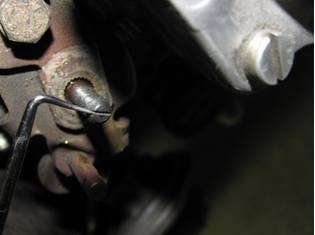 If the screw comes out easy, you can un-jam the nuts and use the screwdriver slot to readjust your idle. 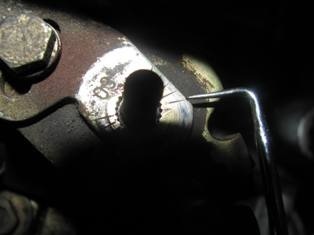 When reassembling, leave the lock nut loose as some adjustment may be needed after you get the truck running. It is now possible to get a allen wrench in the inner rear cover screw. You can insert the short end first, to initially loosen the screw. Take care not to break it. If necessary, tap on the short end of a ball headed allen wrench, with the long end inserted in the screw. 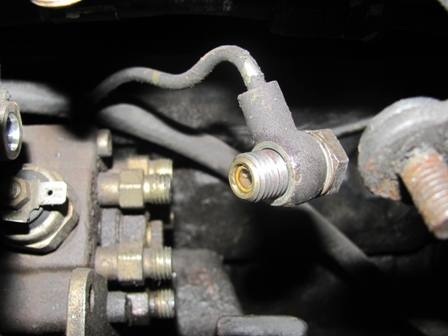 This will avoid damage to the head of the bolt that could happen if you used a punch. 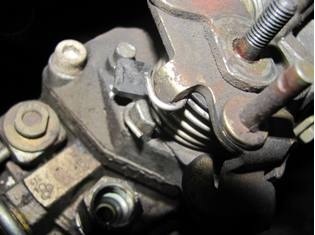 Some heat on the lower part of the injector pump housing may help too, for extra stubborn screws- but be careful of the fire hazard of the fuel. 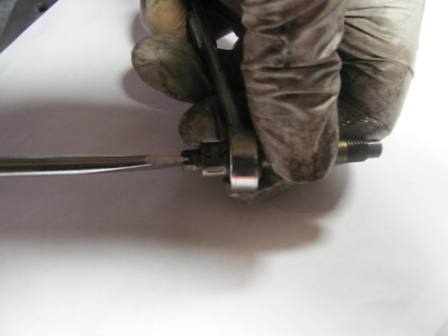 Next, Remove the allen headed throttle shaft nut on the throttle lever, and remove the top portion of the lever, leaving the main part of the lever on the pump. Underneath the top portion of the throttle lever will be a lock washer and a plastic washer. Remove these at this time, but do not remove the bottom portion of the lever yet. Under the plastic washer you will see some marks (as shown by the tip of the pick). There is also a mark on the shaft. Note which mark on the throttle lever lines up with the mark on the shaft, so that when you reassemble the pump you can line it back up as it was. You can now pull the lower portion of the throttle lever off. Note how the coiled spring is arranged. Next, using a screwdriver, pry the plastic spring guide up, with the spring, off of the housing- exposing the front outer afc housing cover screw. Now remove the other two screws holding the cover down, this one and the other in the opposite corner, the front inner. Gently lift the cover up while moving it towards the rear of the engine, taking care not to over stretch the old governor spring. Over stretching the spring may cause it to come out of the lever and the button it is attached to. You do not want to have to try to find the small spring in the button if it gets lost! 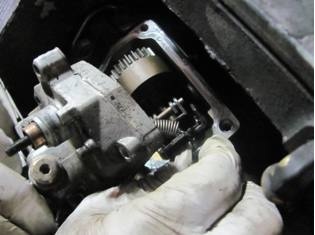 Allow the rear part of the cover to drop down alongside the lower portion of the pump. 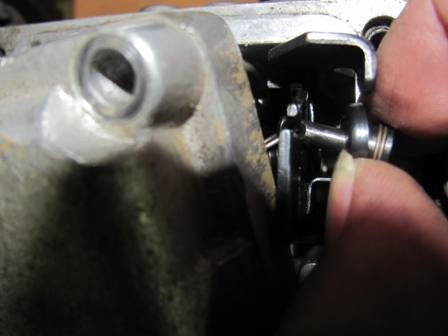 Pushing the throttle shaft down in the cover bushing will give the spring some more slack. Grab the button the governor spring is attached to and gently pull it towards the back of the pump. Once the shaft of the button is out of the slotted hole in the lever- the spring and button can be removed, along with the cover assembly- all intact. 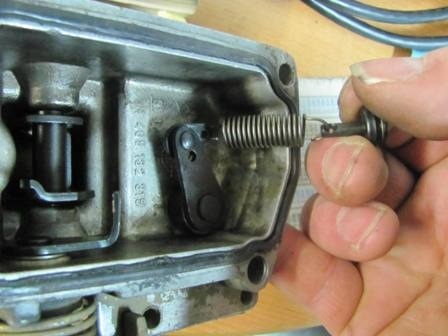 It is now time to take the button off the spring and disconnect the spring from the throttle lever. Install the new spring and install the cover assembly just as it was removed- with the button connected to the spring. This is much easier than trying to connect the spring to the button shaft inside the pump! Now is a very good time to take care of the full load adjusting screw lock. This will allow you to turn your full load screw in some, giving you some more full load power. Holding the nut with a wrench, turn the screw in with a screw driver. This will push the lock off the screw. When installing this screw, be careful not to thread it in too far. Put a little grease on the o-ring. It’s best to thread it in just a half a turn or so past the amount of counted turns you noted when pulling it out. Do not turn the full load screw in with a screwdriver, but turn it with your hand. It is possible to turn it too far and bend the lever inside the pump. If you forgot to count the turns out, just go a few turns in after the o-ring is in the housing, and have a helper try to start the engine. 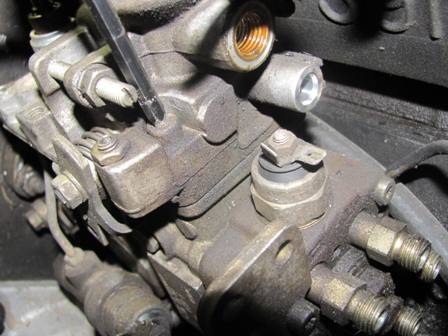 You will need to bleed the injector lines of course and you may also need to hold the throttle lever at a higher throttle for the engine to start. If it will not idle turn the full load screw in farther until the idle starts to pick up. If you go too far, the engine will run away on you, so your helper needs to be ready to shut the key off.